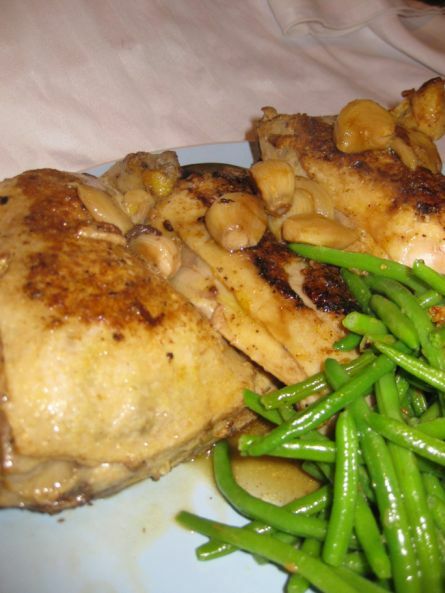 Pan-roasted chicken is a really easy dish to make! All you need to do is to season the meat, seared the chicken and about 30 to 40 minutes to let the chicken cook slowly in the pan and voila dinner is done! 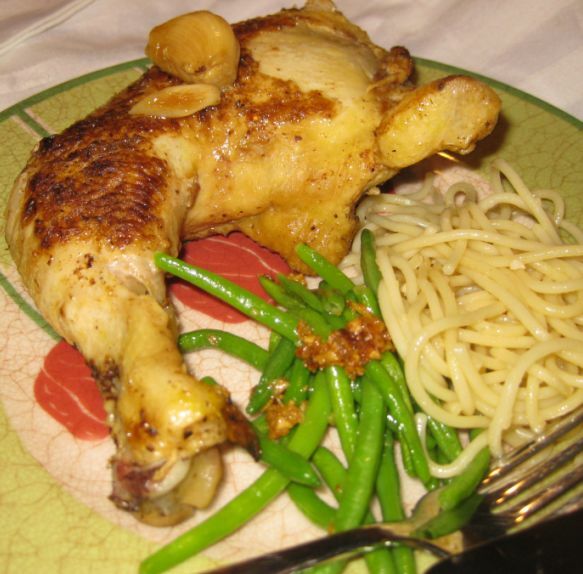 Roasted chicken was a dish I really like growing up. 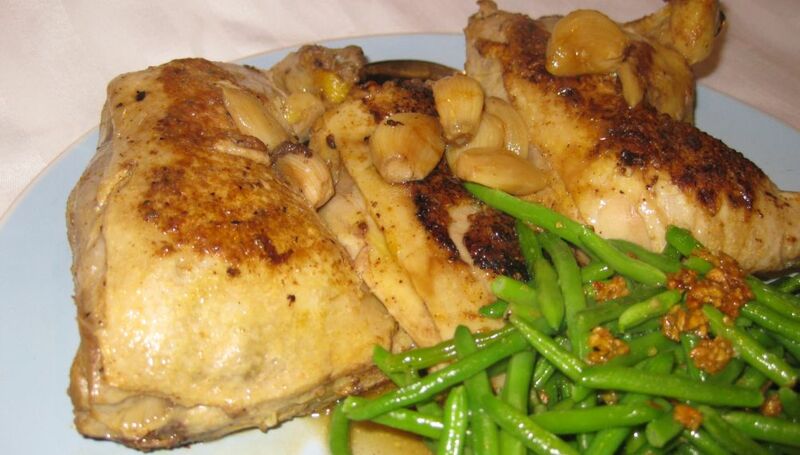 I remember asking our cook to make this dish at least once a week and each time I savored the juicy chicken with its pan sauce mixed with steamed rice as the best dish ever. 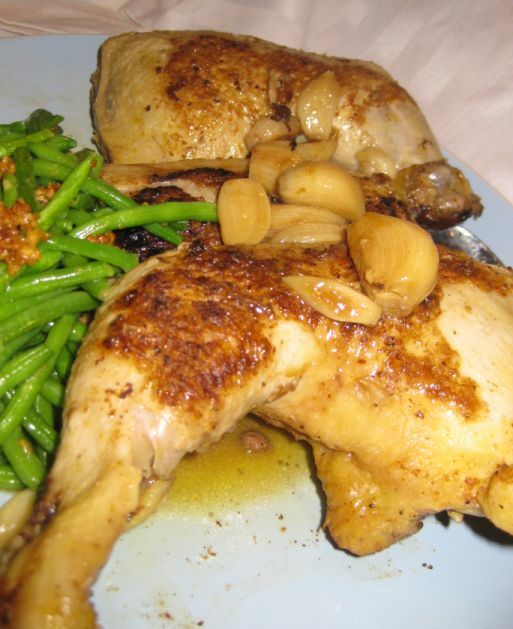 In our country chicken is very expensive and making this dish was a luxury and I always look forward to it. 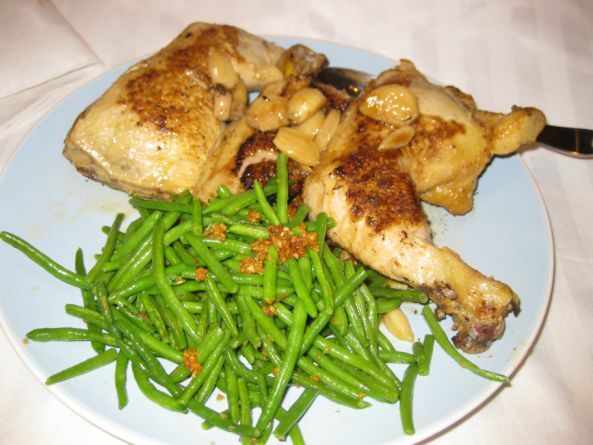 I served this dish with pasta and green beans sautéed with garlic and butter. 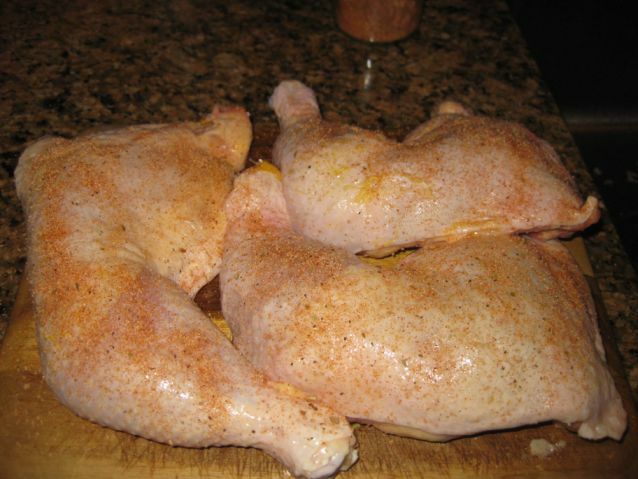 I rarely roast a whole chicken because none of us like the breasts and we always ends with leftovers. Instead I buy chicken quarters and if we have some leftovers I cut them into small cubes and served them cold with a salad. 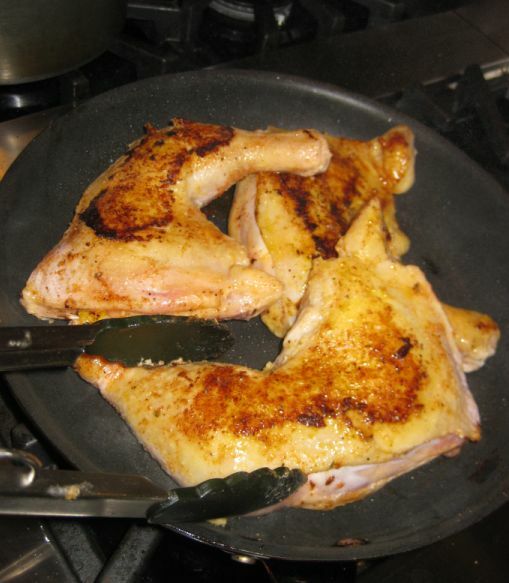 Put the chicken in a hot pan and let it seared for a few minutes or until brown. 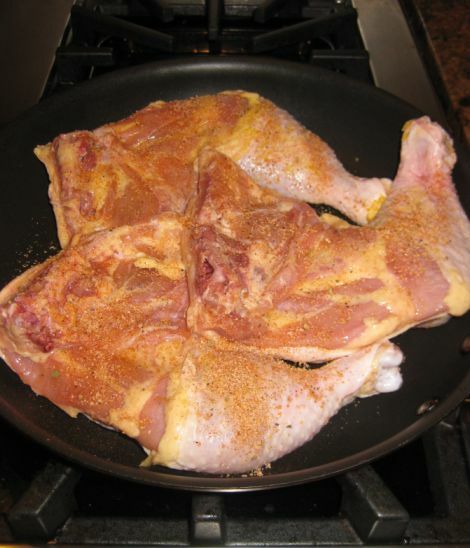 Once it is brown, turned the chicken to other side and let in brown for a few minutes. 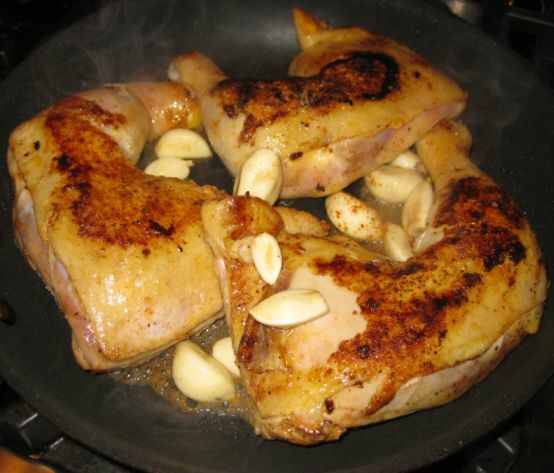 Once both sides are brown, add a bit of water, lots of garlic and turn the heat down to low. Cover the pan with a lid and let it simmer for about 30 to 40 minutes. 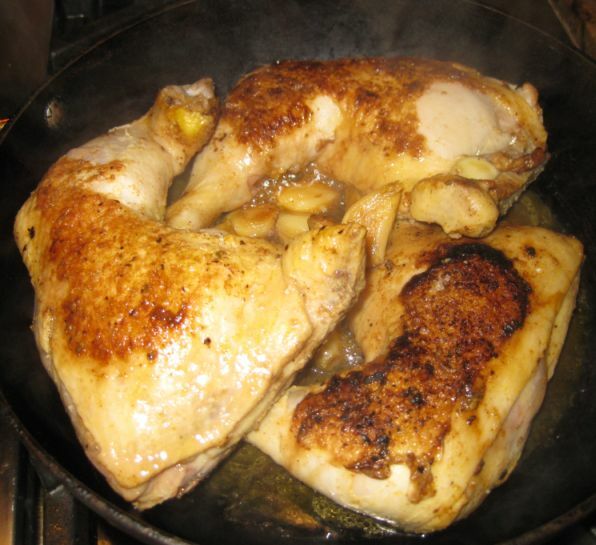 After 30/40 minutes the chicken should be done and you will see in the pan a bit of sauce. Turn off the heat and it is ready to be served.